The nights are drawing in and having done a couple of hours work on the magazine, I wandered down to Porth Neigwl (Hell’s Mouth) to check out the swell. Seeing dark shapes in the surf through a swirling seasonal mist sent me sprinting the last few yards of the path. It’s fairly common to see dolphins out in Porth Neigwl and I’ve been lucky enough to surf with seals in the winter but, for me at least, seeing dolphins playing in the inshore waves is a rare, wondrous treat. The evening before had taken me over to Pwllheli and, business complete, I had slipped along to Gimblet Rock. There in the gloaming a group of bass patrolling the shoreline had herded a huge shoal of bait-fish tight up against the beach – the sea was a foaming mass of fish – the hunters and the hunted, with seagulls on standby to pick up the pieces. In previous days I’d been on the main beach watching the swimmers clamber up the sands after completing their Open Water Swim and seen both the RNLI sponsored bike ride and the Abersoch Triple Crown Half Marathon. I would later be wandering through the village to take a look at the new seasons stock and great sale offers from local businesses, and was busy inviting friends and family for the Abersoch Christmas Festival weekend. That is the beauty of Abersoch – the village and it’s surrounds offer something for everybody all year round – from natural wonders to captivating events and great retail therapy – all within a few yards of each other. I remember visiting in the winter months in years gone by when many of the businesses only really traded at the weekend out of season. Not so now – this is a true 365 day a year destination. 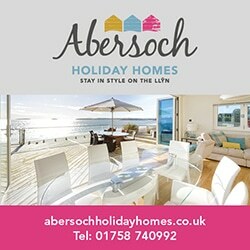 Abersoch gives you a great social life and shopping experience in and around the village, a countryside and wildlife laying themselves before you in their winter cloaks and is as rewarding for those who venture a little further afield as it is for those happy to find a sheltered corner of the beach. Whether you are lucky enough to live here all year, or just pay an occasional visit, this is a place that will lay its magic before you season after season. 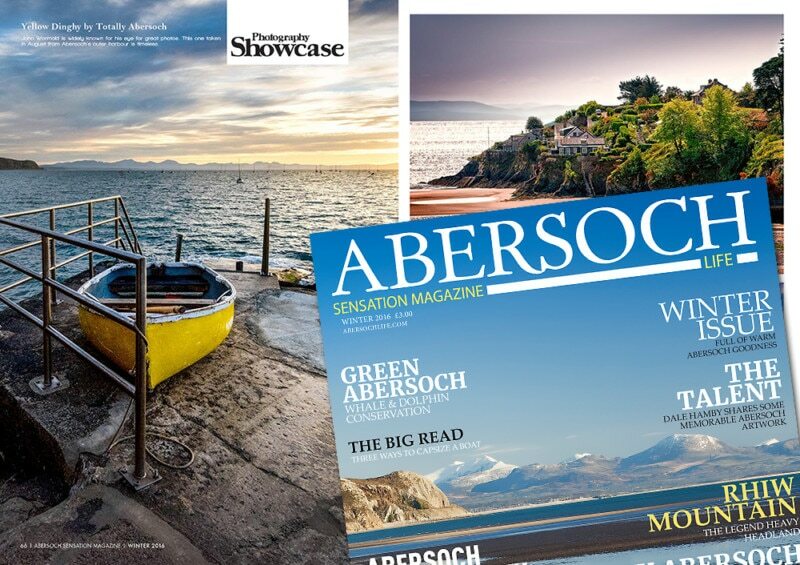 Here in Abersoch Sensation Magazine we give you a great insight into the unique winter experience that is Abersoch. Grab a copy, have a read, feel the magic and make sure you pay us a visit!